Ever since I revealed my room makeover I've had some lovely emails and messages from you lovely lot *blushes and huge thanks! 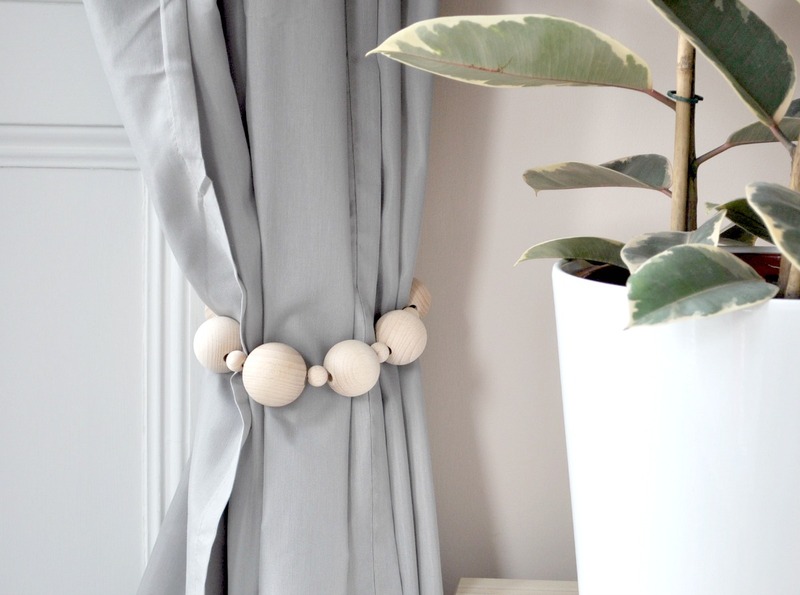 * and quite a few of you have been asking how I made my DIY curtain tie backs! Well as they only cost me the grand total of £10 for two, I thought I would share it on the blog with a little Make It tutorial. I really love the pale natural wood, especially against the grey, as I think it definitely adds a touch of Scandi style to the room. • 6ft of grey suede cord or string. 1 small bead (SB) / 1inch / 1 SB / 1.5inch bead / 1SB / 1.5inch bead / 1SB / 2inch bead / 1SB / 1.5inch bead / 1SB / 1.5inch bead / 1SB / 1inch / 1SB. Once you have created your repeated pattern then tie off the ends, making sure you leave a loop for your curtain tie backs to fit onto the hook on the wall. Cut of any excess cord or string and then admire your handy work! It really is that easy! 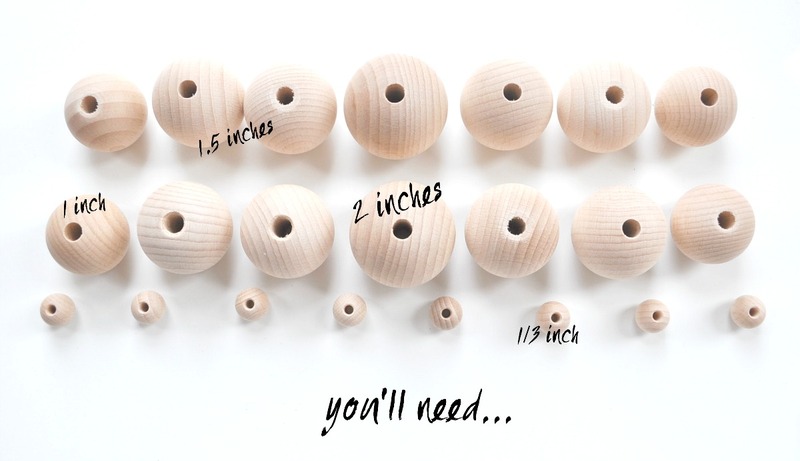 It took me about five minute to make both and you can pick up the wooden beads in most craft shops – or Hobbycraft in the UK – and it gives a lovely finish to your curtains, creating beautiful wooden curtain tie backs on a budget! Have you got any DIY home hacks planned for your home? I can't believe these only cost a tenner to make - looks like something you'd find in Heal's! 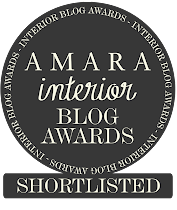 I don't have curtains in my rented flat, but always love a good interiors tutorial! These tiebacks look amazing, I can't believe they're so simple and cheap to make, I love them! What a fab idea. They look lovely and a whole lot more expensive than than £10. They look really modern and cool, and I agree with Stacey, a lot more expensive than £10. I love this! 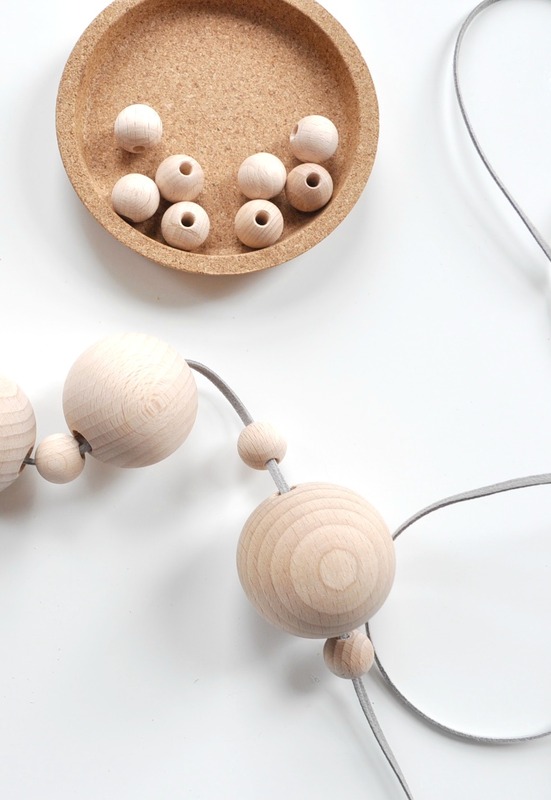 The tie backs are reminiscent of the wood beaded garlands that are so hot right now! But much more adorable and I love that it's a DIY! Thanks for sharing. It such a great idea, they are so super simple to make, I love the idea, thanks for sharing! Wow! 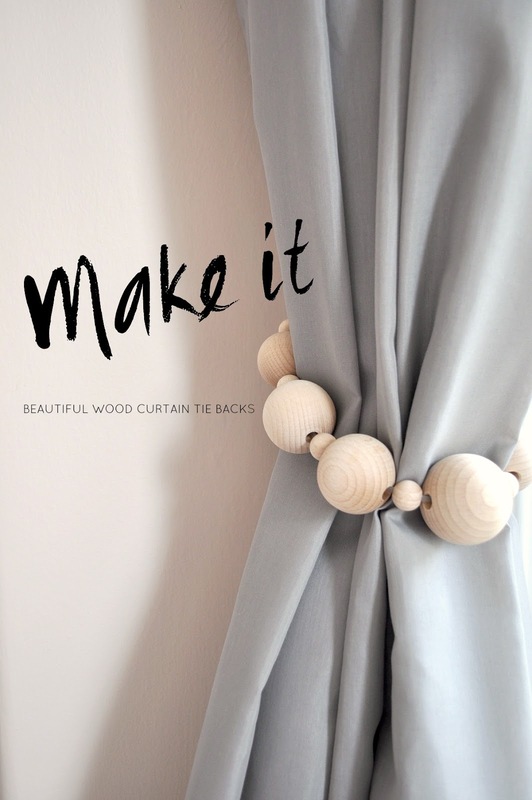 This is such an amazing idea to DIY the curtain tie-backs. 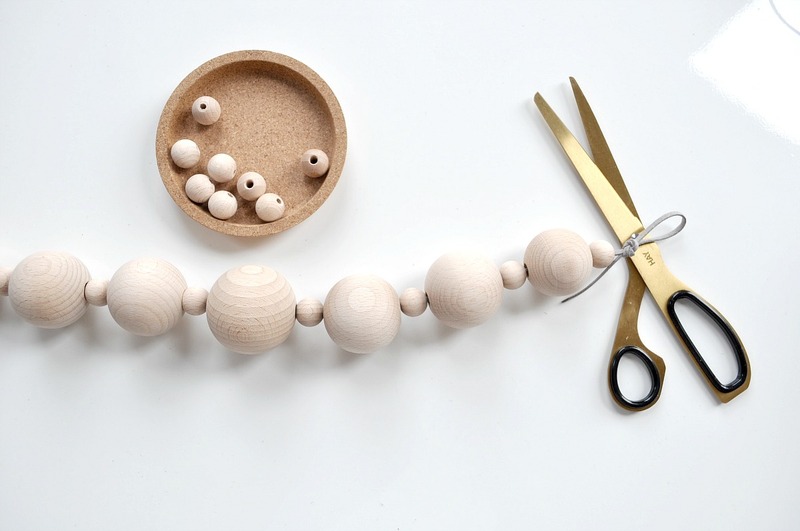 What a fabulous idea, so scandi-cool! I can't wait to give this a go and I love how easy it looks - new curtain ties in no time. Thanks so much for sharing! 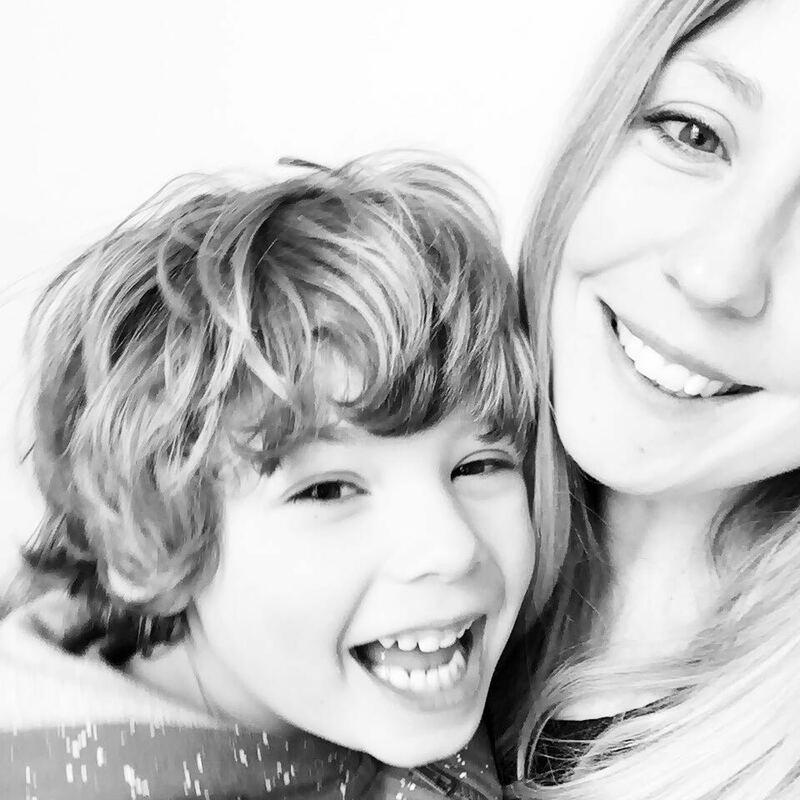 The DIY home hack that I am trying to find at the moment is for wardrobe organisation - mine is such a nightmare, I will let you know if I find one.